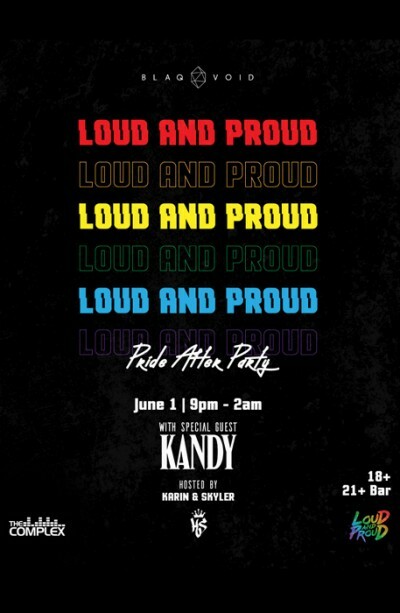 BLAQ VOID is PROUD to bring you KANDY's LOUD AND PROUD tour; a first of its kind LGBTQ PRIDE festival tour. A full lineup of LGBTQ artists will be performing to help us make 2019 PRIDE the biggest yet. The Void beckons you.